What is RAID, why do you need it, and what are all those mode numbers that are constantly bandied about? RAID stands for “Redundant Array of Independent Disks” or “Redundant Array of Inexpensive Disks,” depending on who you talk to. Note that the word array is included in the acronym, so saying “RAID array,” as a lot of people do, is redundant. Back when hard drives were less capacious and more expensive, RAID was created to combine multiple, less-expensive drives into a single, higher-capacity and/or faster volume. On top of that, it was designed to facilitate redundancy, also known as fault tolerance or failover protection, so that the array and its data remain usable when a drive fails. You’ll often hear about 1-disk or 2-disk redundancy, which refers to the number of drives that can fail while the array remains viable. Redundancy is important for a small business, as drive failure does happen. RAID’s data redundancy offers no protection against data lost to malware, theft, or natural disaster—and it’s certainly no substitute for proper backup practices—but it does provide a fail-safe against hardware failure. RAID has levels, or methods by which the drives are ganged together; commonly people refer to levels by number. The three most common levels in the consumer and small-office markets are RAID 0, RAID 1, and RAID 5. However, you’ll encounter numerous other options too, including levels 6, 10, 5+1, JBOD (“just a bunch of disks”), and Microsoft’s virtual disk RAID, as well as abstracted RAID implementations such as Drobo BeyondRAID, Netgear X-RAID, and Synology SHR. RAID 0 Picture the 0 in the “RAID 0” name as an oval racetrack and you’ve divined its primary purpose: Faster performance. RAID 0 distributes data across multiple drives (for example, block A goes to and from drive 1, block B goes to and from drive 2), which permits increased write and read speeds. This approach is often referred to as striping, and other modes (as you’ll see later) employ the technique as well. Regrettably (and dangerously, if you aren’t aware of the risks) RAID 0 offers no protection against drive failure, since this mode does not write any duplicate or parity information. Hence, when a drive fails, you end up with a puzzle that’s missing pieces. In such a situation, your data is quite possibly gone, though you can find service providers that might be able to recover it—for a lot of money. RAID 1 RAID 1 writes and reads the same data to pairs of drives; it’s also referred to as mirroring. The drives are equal partners—should either fail, you can continue working with the good one until you can replace the bad one. RAID 1 is the simplest, easiest method to create failover disk storage. However, it costs you a whopping 50 percent of your total available drive capacity; for example, two 1TB drives in a mirrored array nets you only 1TB of usable space, not 2TB. You may have as many pairs of mirrored drives as your RAID controller allows. And in the unlikely event that said consumer-grade controller supports duplex reading, RAID 1 can provide an increase in read speeds by fetching blocks alternately from each drive. 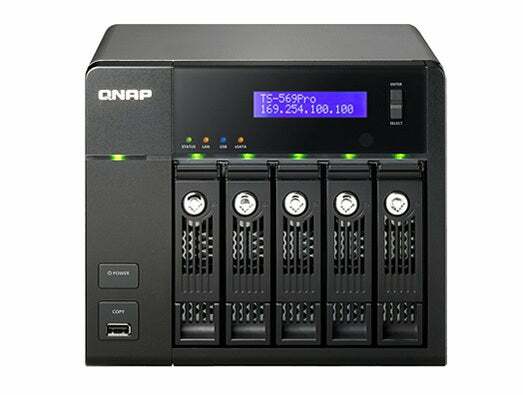 RAID 5 This RAID mode offers both speed and data redundancy. 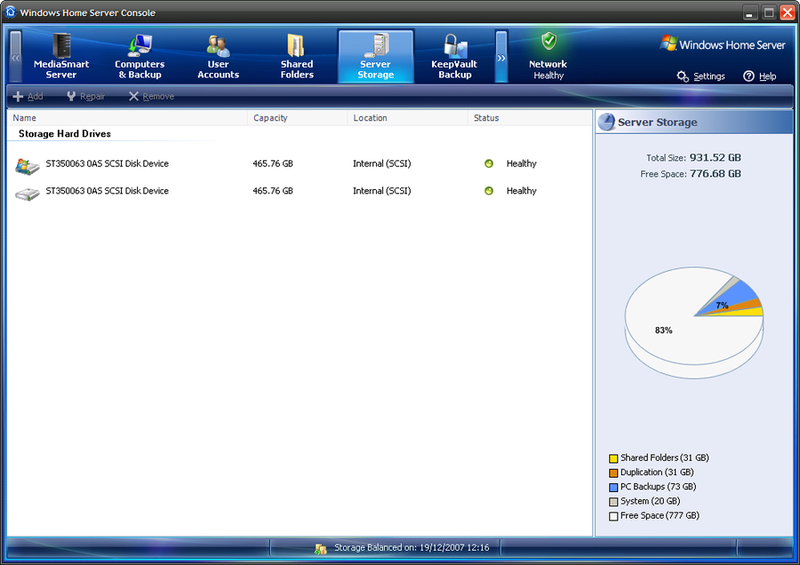 RAID 5 writes data to and reads from multiple disks, and it distributes parity data across all the disks in the array. Parity data is a smaller amount of data derived mathematically from a larger set that can accurately describe that larger amount of data, and thus serves to restore it. Since parity information is distributed across all the drives, any drive can fail without causing the entire array to fail. RAID 5 uses approximately one-third of the available disk capacity for parity information, and requires a minimum of three disks to implement. Since data is read from multiple disks, performance can improve under RAID 5, though some users report that RAID 5 slows performance greatly when it’s processing multiple reads in a server situation. JBOD This is shorthand for “just a bunch of disks.” It's not actually RAID, but it is often available as an option on multidisk storage boxes that offer RAID. JBOD offers no speed increase or redundancy. Rather, it simply concatenates a group of disks into a single volume. Data is written to the first drive until it’s full, then to the second until it is full, and so on, until the last drive has no more room. 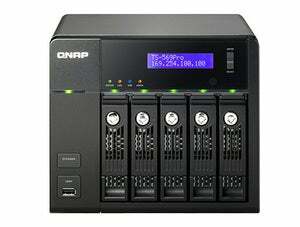 Even though many network-attached storage devices provide this option, we don’t recommend using it unless it’s the only thing available, you really need a single large volume, and you don’t have the choice of using RAID 0 (an unlikely circumstance). Drive Extender Microsoft has abandoned this technology, which was formerly employed on NAS boxes running Microsoft Windows Home Server (prior to WHS 2011). A smart file replication methodology, drive extender allowed you to configure which data would be replicated on a folder-by-folder basis.